Etsy, launched in June 2005, is an e-commerce website that allows its users to buy handmade or vintage goods as well as establish their own online shops to sell their handmade products. The company charges users a flat listing fee (of 20 cents per items), and takes a commission of 3.5% off all items sold. As of this August, Etsy had a 44.2% increase in items sold and a 43.2% increase in dollars of goods sold compared to last year. In 2012, Etsy reported a 70% increase in sales compared to 2011, totaling $895.1 million in gross merchandise, and a 83% growth in the business to include buyers from 200 countries. Etsy currently lists 18 million items for sale and sees 60 million unique visitors each month. 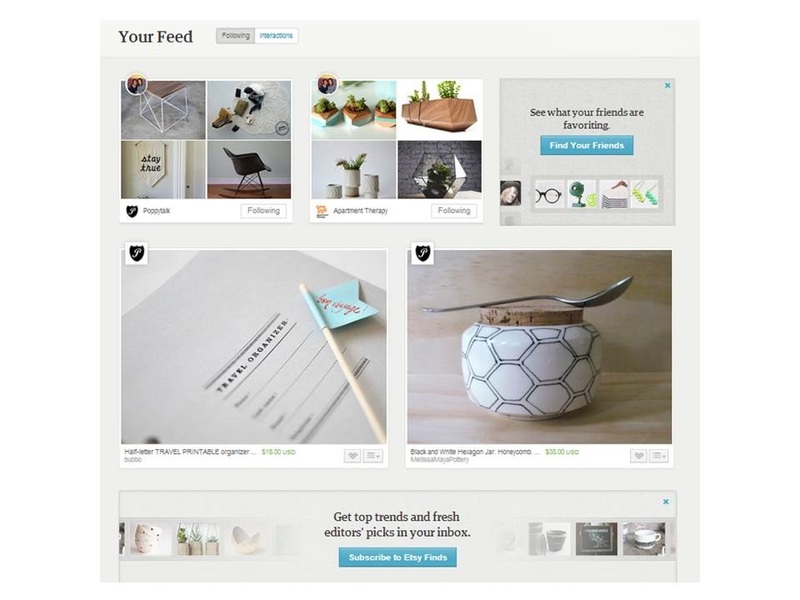 Etsy Pages allows its users to favorite a product and follow a seller’s shop or a brand, in which they can receive tailored product recommendations. Etsy has collaborated with brands such as Apartment Therapy, Lucky, West Elm, Martha Stewart Weddings, Swiss Miss, Food52, and Babble to add pages to a designated section of the marketplace that displays recommended products from these brands. Etsy has also recently partnered with Nordstroms to feature a wedding collection from emerging artists and designers. Additionally, individuals can subscribe to receive editors’ top picked items. Yes, Etsy has picked a fight with Pinterest! 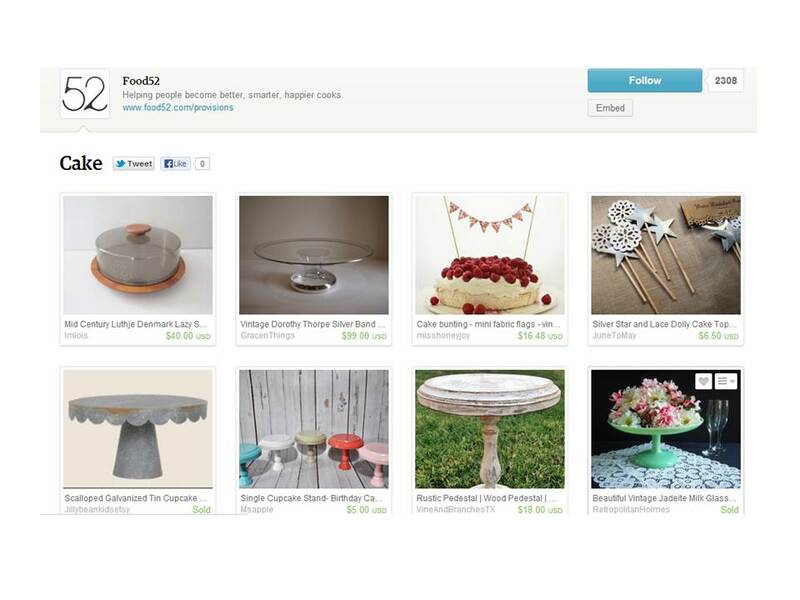 Some may question how Etsy will be able to steal the 70 million pinners from Pinterest. Pinterest may have more than two times Etsy’s users, but what most people don’t know is that Google and Etsy are two of the most popular sites pinned and that DIY & Crafts (the primary focus of Etsy) is the second leading pinned category after Food & Drinks. So is Etsy really stealing pinners or are they bringing home users and shoppers? 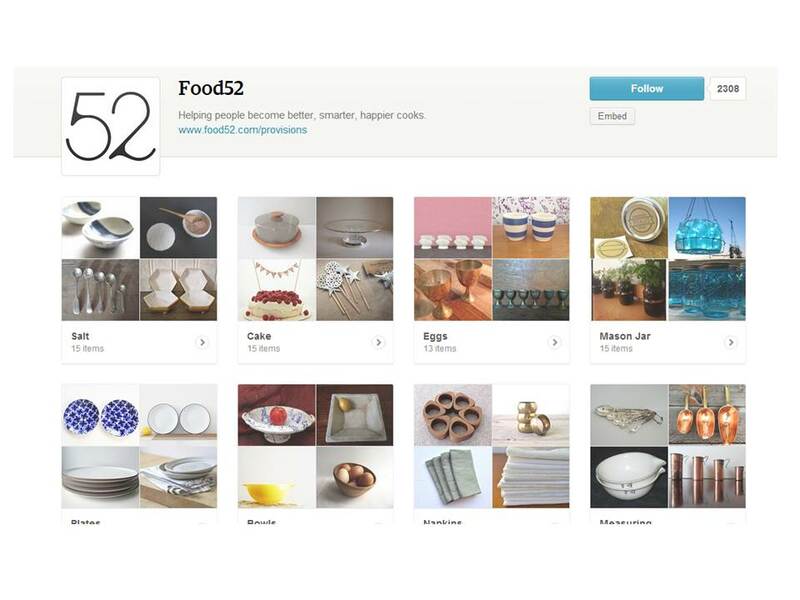 Pages will allow sellers to easily gain more visibility as people browse their Etsy feeds, re-post products and share their collections. 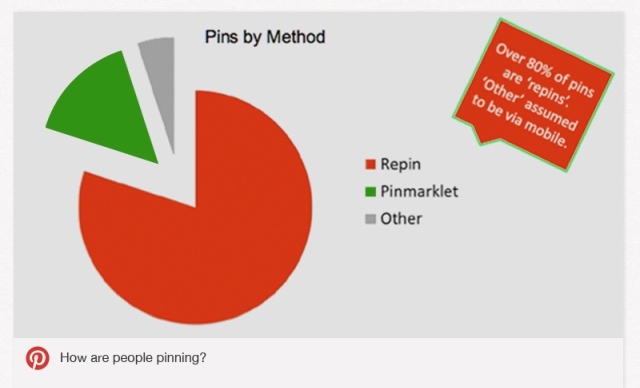 An interesting statistic from Pinterest that speaks to the optimistic future of Etsy Pages is that over 80% of pins on Pinterest are actually re-pins rather than brand new content. This type of user activity will be key to brands as they choose their preferred selling platform. And as previously mentioned, Etsy Pages creates an incentive for buyers to relocate their presence from Pinterest to Etsy as users are able to shop instantly the products displayed and buyers are able to easily expand their presence through re-posts and followers. Etsy’s most valuable proposition may be that it allows its users to shop every product in their collection. It will be difficult and might I even say impossible for Pinterest to achieve this as many of its pins are pictures from blogs or unshoppable sites. And although Amazon Collections also allows its users to shop every product displayed, it lacks the social and personalized experience that Etsy provides (Also discussed in my “Like Prada, Repin Prada then Shop Prada” post). Amazon Collections appears more as an online warehouse, while Etsy Pages’ News Feed, like Pinterests’, is engaging and is updated in real-time with new recommended products from brands, Etsy’s sellers & buyers and friends. I envision that in the next few months, Etsy will expand its categories to include areas that are currently covered by Pinterest but not on Etsy Pages (current Page categories include weddings, fashion, kids, design and lifestyle) and will partner with more retailers and well-known designers to add to its collection of brand pages. I don’t see Etsy digressing away from its focus on handmade goods, rather I see it building upon its original concept and introducing more brands and relevant products to its users. I believe Etsy will continue to create an online discovery experience for its users, introducing not only emerging artists and designers but also more popular brands and individuals. 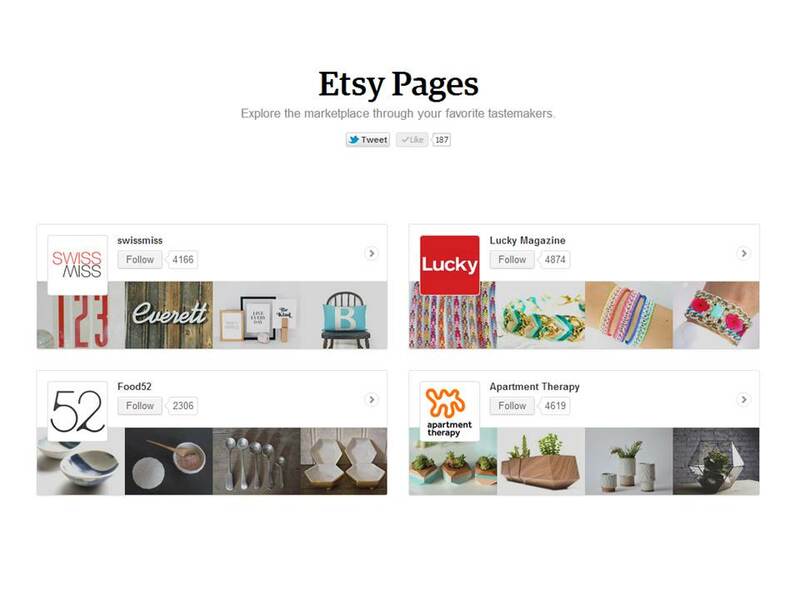 We can also expect an increase in the number of sellers or new personal shops on Etsy as the Pages’ user base grows. Etsy Pages will enable Etsy to quickly increase its user reach and grow its sales. Share with me your thoughts on Etsy Pages and eCommerce Platforms @tiffanydstone or comment below!